Frederick Seitz had a major impact world-wide on solid-state physics. His role in the U.S. can be compared with that of Nevill Mott in England and Yakov Frenkel in the Soviet Union. Besides Seitz’s pioneering scientific contributions, he was talented as an institution builder as well as a promoter and administrator of interdisciplinary cooperation in a broad scientific arena. Seitz, born July 4, 1911, in San Francisco, attended Lick-Wilmerding High School, graduating in mid-year to start at Stanford in January 1929. Including a half-year at Caltech, he finished courses in three years and headed east to Princeton in January, 1932. He had been recommended by Edward U. Condon, who lectured one summer at Stanford. At Princeton, Seitz was referred by Condon to Eugene Wigner, and became his first graduate student. As Fred later noted in his autobiography , in their joint work on quantitative application of quantum theory to understand cohesion of metals, “the cellular method of deriving solid state wave functions was born”. His 1934 dissertation was entitled “On the constitution of metallic sodium”. As Fred remarks “Even more important than our immediate results was the doorway that our discovery had opened for quantitative expansion of the field.” Hundreds of references later, Wigner-Seitz technique, and its subsequent elaborations and applications using powerful computers, passed into standard lore, referenced by name only, as the ultimate compliment. After Princeton, Seitz accepted a position at the University of Rochester, which in the mid-1930s was somewhat shielded from the Depression by the presence of active companies such as Bausch & Lomb, Eastman Kodak, and Taylor Instrument. 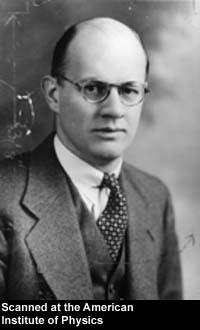 Rochester gave Fred freedom to do research and to start an ambitious project: “to write a cohesive account of the various aspects of solid state physics, in order to give the field the kind of unity it deserved.” His book, The Modern Theory of Solids (McGraw-Hill) was published in 1940, when he was a faculty member at the University of Pennsylvania, by way of two years at General Electric Research Laboratories. This remarkable book was already his 24th publication, and his age was 29. It became a primary source of instruction and inspiration to generations of students and researchers. It treated all properties (electrical, optical, magnetic, mechanical, thermal, and chemical) of all types of solids (metallic, insulating, ionic, and semiconducting) on a common ground of the electronic structure of materials. Before it was written, there were specialized laboratories at widely scattered institutions in which specific properties of solids were investigated, especially in Europe. However, there was no recognized and coherent intellectual structure for the field. Seitz, a brilliant mathematical physicist, early came to a strong conviction of the importance of critical experimental work as part of the process of discovery in the field of condensed matter. This accounted for his years at GE, and is reflected already in Modern Theory of Solids, which has a first chapter giving an extraordinarily broad survey of observed phenomena in solids. His conviction was reinforced through his work on materials problems in nuclear reactors during and immediately after WW II. During WW II, Seitz was drawn into a variety of work. First was consulting for Frankford Arsenal on metallurgy, then for the Radiation Laboratory at M.I.T. about silicon rectifiers, then a Carnegie Tech contract for the National Defense Research Laboratory, then the Metallurgical Laboratory of the Manhattan District at the University of Chicago, and finally the Field Intelligence Agency, Technical, based in Europe. In 1942, with Hillard Huntington (Wigner’s third student), he gave the first calculation of the energy of formation and migration of vacancies and interstitials in copper. Seitz’s interest in this subject began with work with Wigner assessing the structural damage to be expected from the heavy irradiation fluxes in nuclear reactors. Huntington and Seitz found that the formation and migration energies were about the same for vacancies, but the formation energy was much larger and the migration energy much smaller for interstitials. This calculation has had a strong impact on work on point defects in metals, continuing to the present day. His view was confirmed that many of the most interesting and important properties of solids arise because of the atomic defects they contain. Wheeler Loomis, rebuilding the Illinois Physics department after WW II, got enthusiastic support from Graduate Dean Louis Ridenour and University President George Stoddard, to bring Seitz to Illinois in 1949, to assemble a major effort. With Fred, came a core faculty: John Bardeen (from Bell Labs), Robert Maurer and James Koehler (from Carnegie), and the fresh Ph.D’s David Lazarus (from Chicago), Dillon Mapother (from Carnegie), and Charles Slichter (from Harvard). Bardeen had been Wigner’s second student at Princeton, and had already been involved in invention of the transistor at Bell. Among the resources from both inside and outside the university were new labs, new technical facilities and personnel, and other support staff. Furthermore, productive interdisciplinary collaboration was fostered with other faculty in other departments, particularly Metallurgy, Charles Wert (from Chicago). At Illinois, both theoretical and experimental research on condensed matter became a prominent and respected part of mainline physics. Seitz, always interested in theoretical syntheses, produced his first provocative review of color centers in alkali halide crystals in 1946. By 1951, it already had inspired many experiments reported at an International Conference on Ionic Crystals in Urbana. Another review by the same title , in 1954, was dedicated to the German pioneer, Robert Pohl, on his 70th birthday. Studies on all types of solids were expanding rapidly, and in 1955 Seitz was the founding editor (with David Turnbull) of the series: "Solid State Physics" (Academic Press). By the year 2009, this series reached 61 volumes, plus 15 supplemental volumes on single topics. Seitz’s personal publications include contributions in many areas: spectroscopy, luminescence, point defects, physical metallurgy, and self-diffusion, besides papers on issues of science policy. Among them are also critical review articles on plastic deformation, on radiation damage in solids, and a synthesis of the relations between defects, in Imperfections in Nearly Perfect Crystals (Wiley, 1952). These opened new areas of research and became required reading for newcomers. Seitz became Illinois department head upon Loomis’ retirement in 1957. Along with his parallel activities, which for a year involved being Science Advisor to NATO, Seitz advised five graduate students. By the mid-1960s a materials research laboratory was built. Fred, the core faculty and others soon added, provided for appointment of many postdoctorals and senior visitors from abroad. Many of these have subsequently led notable efforts in condensed-matter physics. Seitz served as Chair of the Governing Board of the American Institute of Physics from 1954 to 1960 and as President of the American Physical Society in 1961. Seitz’s hands-on participation in science was focused sharply on solid-state physics, but his interests were as broad as science itself. In 1964 he severed formal ties with Illinois to become the first full-time president of the National Academy of Sciences. There he found some of the most pressing problems to reside in elementary particle physics where advances in the science called for ever larger and more expensive facilities. They had outgrown the capabilities of any single university. Under NAS auspices he initiated formation of a national consortium of universities, Universities Research Association. That new corporation, under the presidency of Norman Ramsey of Harvard, successfully contracted with the Atomic Energy Commission to construct and manage a new laboratory that would house the world’s largest particle accelerator Seitz further appointed Emanuel R. Piore, Vice-president of IBM, to chair a committee to evaluate the 128 site proposals that had been submitted and to recommend from among them the six best qualified. Those moves led to the creation of the Fermi National Accelerator Laboratory. Also under NAS auspices Seitz initiated a broad survey of the status and prospects of branches of the physical sciences. He appointed George Pake, provost of Washington University, to conduct a survey that, for many years, provided valuable guidance to government agencies and other interested parties which had to make difficult decisions regarding the allocation of available funds. The rapidly growing field of condensed matter and materials physics has come to depend increasingly upon major facilities having wide user access from universities and industry, and within the NAS/NRC structure Fred co-chaired a pioneering national assessment of those needs. For ten years, until 1978, Seitz served as fourth President of Rockefeller University. During his presidency, new research programs were begun in cell biology, molecular biology, neuroscience, and reproductive biology. New clinical studies in Rockefeller University Hospital were initiated, and a joint M.D.-Ph.D. program with Cornell University Medical College was begun. This initiative was in line with Seitz’s view that both applied work and basic research are each better off for the other’s presence. Upon his retirement as President of Rockefeller University, Seitz continued a “full and satisfying” life as active member of numerous other university and corporate boards, and of a series of advisory committees for a wide variety of government organizations and of scientific societies. He also continued his strong support for the AIP Center for the History of Physics. He personally expressed this interest in the history of science, by writing papers and books on historical subjects in the last two decades of his life. Among these are a history of silicon , a book about a German chemist abducted by the Soviets after WW II , a long essay on Maxwell , a brief history of the National Academy of Sciences, and other works. Throughout her life, his wife Elizabeth (Betty) was a vital part of Fred’s work and life. Among Seitz’s awards were the Franklin Medal (1965), the AIP Compton Medal (1970), the National Medal of Science (1973, the country’s highest award for scientists), the NSF Vannevar Bush Award (1983), and numerous awards for distinguished service to U.S. government agencies. He was elected to 9 Academies, including 6 abroad, and honored by 32 doctorates from universities in five countries. In 1993, the University of Illinois renamed the Materials Research Laboratory in his honor. Seitz died in New York, age 96, on March 2, 2008. Frederick Seitz, On the Frontier: My Life in Science, American Institute of Physics Press, New York (1994). Reviews of Modern Physics 26, 7-94 (1954). Electronic Genie, The Tangled History of Silicon (University of Illinois Press, 1997) co-author with Norman G. Einspruch. Stalin’s Captive: Nikolaus Riehl and the Soviet Race for the Bomb (American Chemical Society, 1995). James Clerk Maxwell (1831-1879; Member APS 1875, Builder of Bridges Between Isaac Newton and Albert Einstein Proceedings of the American Philosophical Society, 145 1 (2001).